1. To provide effective martial arts instruction, helping people learn how to defend themselves. 2. To provide the highest level of training and education to enhance cultural appreciation. 3. To provide a conduit for Cultural exchange between Korea and USA, in order to create a bridge for diversity through cultural immersion. 4. To help children with low income, and or other situations that get in the way of their progress in our martial arts After School and Summer Camp program. Our school was founded on the principle of commitment to teach quality self-defense instruction to the general public. We will help you reach your desired level of physical performance as well as increase your self-confidence. We are the finest school in Hollywood, Davie, Cooper City, Plantation, Fort Lauderdale, in Broward County and Miami area. We have classes for both adults and children. Adult Self-Defense Hapkido, Martial Arts After School Program, Summer Camp, Women's self-defense, Senior classes. Our goal is to help you reach your life goals through building self-confidence. 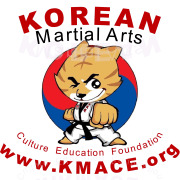 Would you recommend KOREAN MARTIAL ARTS CULTURE & EDUCATION FOUNDATION INC?